The sounding of the shofar awakens us and calls us to reflect … How have we repaired our world this year? Have we raised our voices when we witnessed injustice? With the New Year upon us, we must raise our voices on behalf of a community in desperate need. In Burma (Myanmar), the Rohingya people are facing the threat of annihilation. This Muslim ethnic minority has been persecuted for decades by Buddhist civilians and the Burmese state. The government denies them citizenship, rendering them stateless. It has interned them in camps, murdered and pillaged, and sent desperate families fleeing into the sea. Since August 25th, Burmese forces have burned entire Rohingya villages to the ground, soldiers have indiscriminately massacred Rohingya men, women, and children, and more than 687,000 people have fled on foot to refugee camps in Bangladesh, usually a trek of several weeks from their devastated villages. As global citizens, as humanitarians, and especially as Jews, we cannot remain silent while this ethnic cleansing continues. 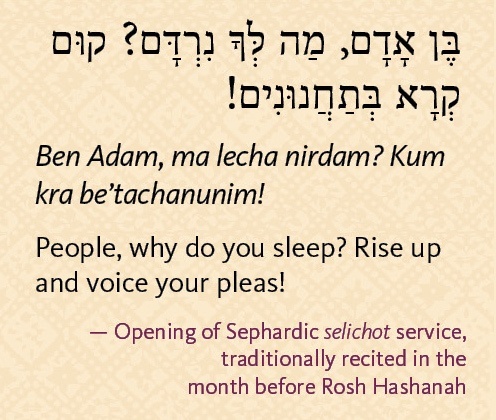 We must—as the Selichot prayer urges—rise up and voice our pleas. We must collectively speak out against the atrocities being committed on our watch. Because we remember our own darkest history. Because we refuse to abandon the most vulnerable among us. When the next generation asks how we responded to the atrocity of our time, we must be able to say, honestly and with a full heart, that we did all we could to stop it. Please join AJWS in standing up for the Rohingya people. Click here to send a message to your Senators. 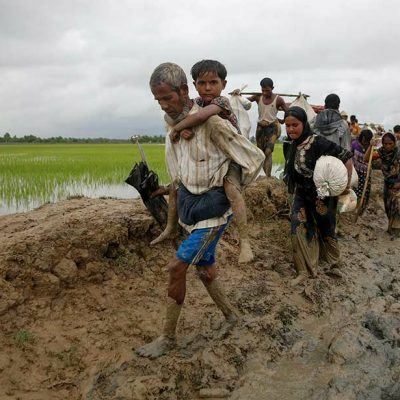 Ask them to condemn these atrocities, call on the Burmese regime to stop the violence, and allow humanitarian aid to reach those in desperate need.